In the winter of 1928-29 a Belgian painter living in Paris painted what looked like an advertisement for pipe tobacco. The painter, René Magritte, painted a caption below the large pipe stating “This is not a pipe” creating confusion for viewers and a bit of a stir in the Paris art scene at the time. The title of the painting is “The Treachery of Images” and Magritte intended it as a reminder that representational art is a reflection of the artist’s view of the object, not the object itself. 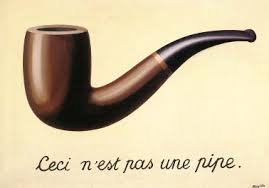 His interpretation was that the painting of the pipe is not actually a pipe. You can’t smoke it, fill it with tobacco, or put it in your pocket; it is a representation of reality. Magritte’s message is particularly apt in our view of marketing data. As marketers, we use our marketing data all the time in measuring and assessing user behavior related to digital advertising and engagement. But it is extremely important to remember that marketing data is an imperfect representation of user behavior and not a perfect simulation. 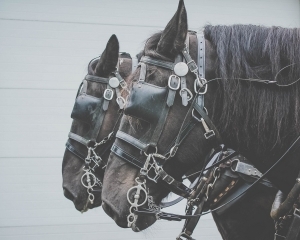 There are three main reasons that marketing data is imperfect. The first is in the nature of tracking. Tracking is technically limited in its scope and reach. At best, tracking can measure engagement from the same device over time, or the same multi-device account over time. This only works if the tracking is implemented correctly in the first place and is not disabled by the end user. Because of the technical limitations of tracking there will always be engagement that is not tracked because of multi-device use, the amount of time for which the tracking is active (cookie window), or because of personal opt-out at the user level either by choice or by browser pre-set settings. The second main source of imperfection in marketing data is in user behavior. As humans we have a wide variety of choices and methods of interacting with advertising. Some of us choose to avoid interacting with advertising as much as possible while some of us behave in the opposite fashion. Some of us will choose not to click on ads at all, some of us don’t hesitate. Some of us need to heavily research purchases, some don’t. There is not one engagement path that is adhered to by all users yet often our data is interpreted through a “single funnel” lens that introduces inaccuracies in interpreting data. The last main source of data imperfection is in data integrity. The cleaning and analyzing of data must align with the knowledge being sought. De-duping rules will differ by business model. Attribution will vary based on external factors such as affiliate payment rules (and will still never tell a 100% accurate story). Data dropout can cause interpretation issues. The best thing you can do is to fully utilize data to test your own model of reality. The best data firms don’t blindly use data but instead use it to inform their perception of reality. For example, if you know that a percentage of social users engage with your brand without clicking on ads and instead show up as brand search or No Referrer traffic, you should try to assess: how much, how can that magnitude be assessed and what impact does it have on my decisions as a marketer if I can hypothesize about non-measured (but real!) activity. Magritte’s point is well-made. Our data is not reality, but an imperfect reflection of reality biased by user behavior, technical limitations, and process. Our best response is to acknowledge and accept this and use it to our advantage.